Description: From 3 to 9 feet tall. 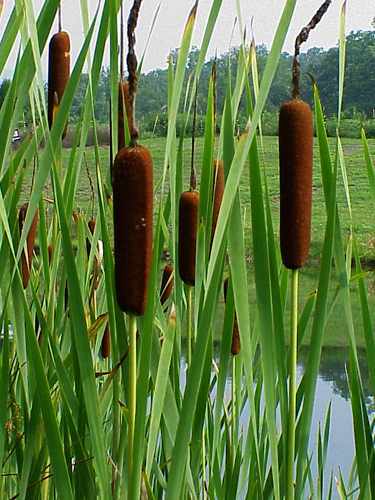 Leaves are erect blade like, stem is stiff with a cat tail like head with brown tightly packed pistillate flowers. Above the brown head is a slender tail of paler staminate flowers which disapear later.